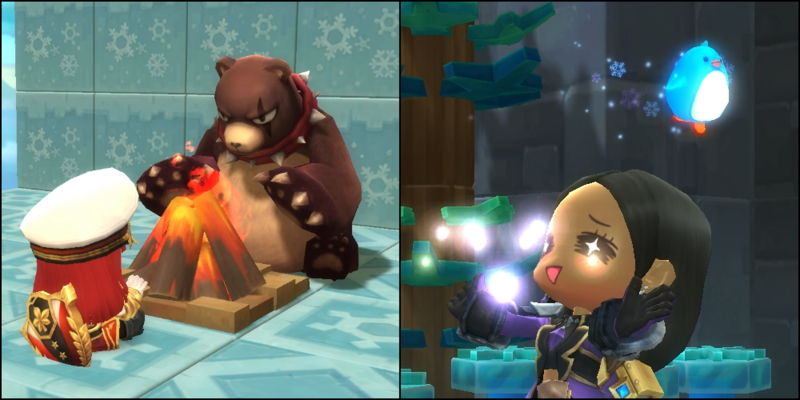 Infernog and the Fortress Rumbles give the top players plenty to challenge them, but the first slate of events for 2019 gives everyone in MapleStory 2 something to enjoy! Check out a special hide and seek-style event, event coins for purchasing unique items and much more! Every day, characters above Lv. 10 can get a special Seek-and-Find Daily Quest from Event Guide Ruby! These quests will challenge you to find another player that has the described attribute, whether being of a specific class, having earned a particular title or wearing just the right item. Don't be afraid to ask for help in chat, or give other players a hand if you have the noted traits! Completing your Seek-and-Find quest will reward you with three 2019 Lucky Pouches that each contain a random item from the list below! Found You! Trophy: Complete 5 Seek-and-Find quests to earn a Friend of the Day Title! Found You! Trophy: Complete 10 Seek-and-Find quests to earn a Begging You Buddy Emote! 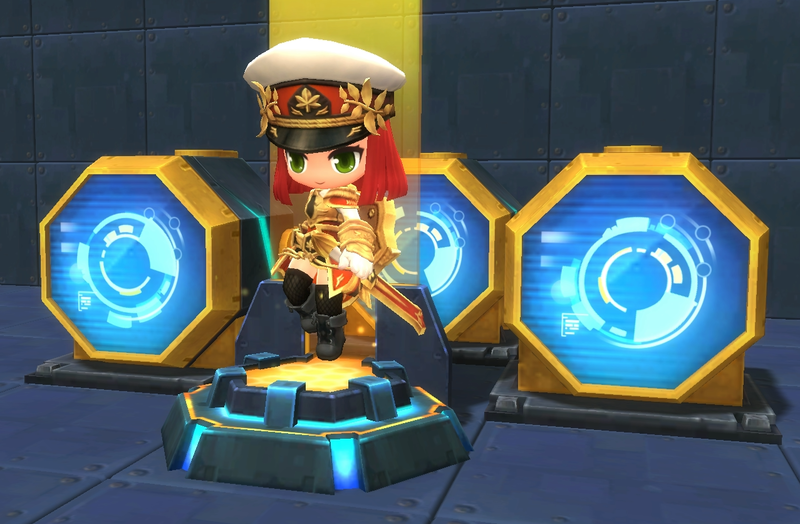 We've got a new event for you to get some special Infernog and Sky Fortress themed items, and all you need to do to get them is play MapleStory 2! Hop in, hit some dungeons and claim your coins to get special Name Tags, Chat Bubbles, Decorations and more! Talk to Event Guide Bobby in Queenstown to turn choice Infernog Skybound Coins into a wide selection of cosmetic and functional items! Ring in 2019 with an event full of fun quests and special rewards! Get Lucky Pouches from special Daily Quests and work towards Trophies containing some excellent prizes, including festive headgear and a lovely fairy to carry you around! Every day, characters above Lv. 10 can get a special New Year's Celebrations daily quest from Event Guide Ruby, which you can complete to earn two 2019 Lucky Pouches! Pouches of Luck Trophy: Open 15 Lucky Pouches to earn a Serendipitous Title! Hello 2019! Trophy: Open 35 Lucky Pouches to earn a 2019 Headband headgear outfit! 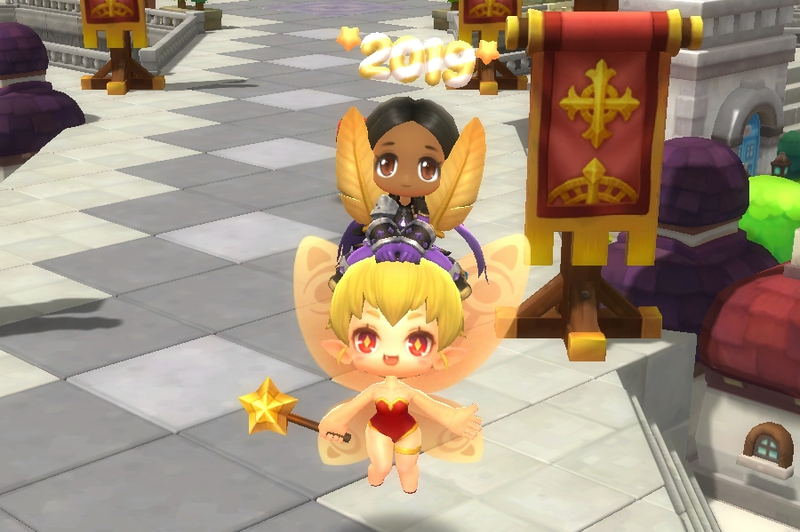 2019, a Lucky Year Indeed Trophy: Open 50 Lucky Pouches to earn a Red Fairy Companion epic ground mount! We're also opening up a bonus event shop every Monday, featuring special items you can purchase with coins you can only earn on Saturdays and Sundays for the rest of January! Keep boosting up your guild as Guild Saturdays continue throughout January. Get double Guild Funds and Experience from Guild Quests every Saturday! [Updated Jan. 10] The amount of Infernog Skybound Coins received upon login has been updated from 30 coins to 10 coins.